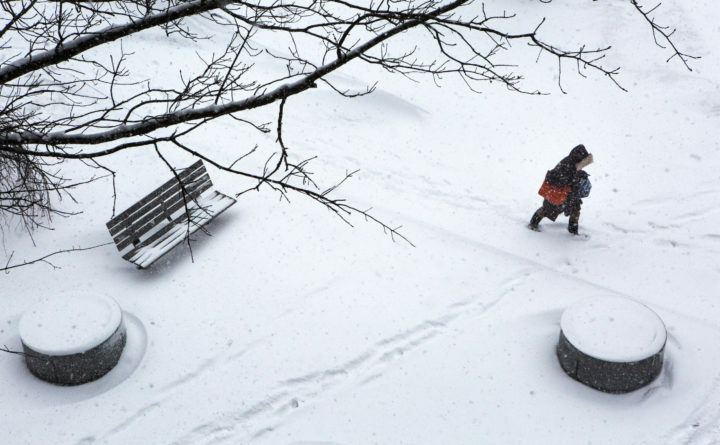 A woman trudges through Lobsterman Park in Portland, March 13, 2018. A car makes its way up Forest Avenue in the snow on Monday morning. 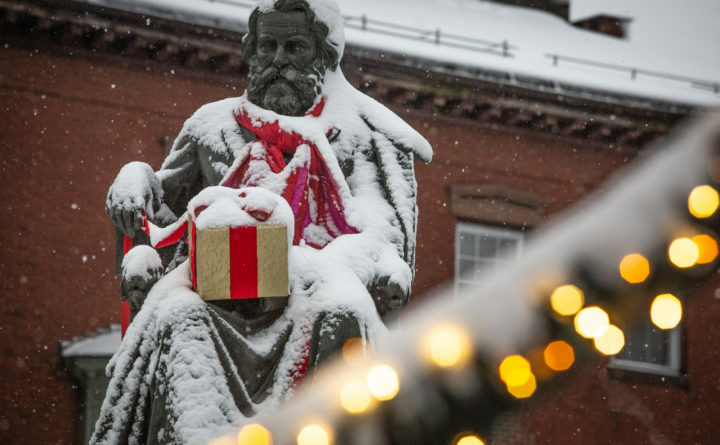 Snow falls on the statue of Henry Wadsworth Longfellow in Portland on Monday morning. Snow and sleet are making for a messy Monday morning commute. 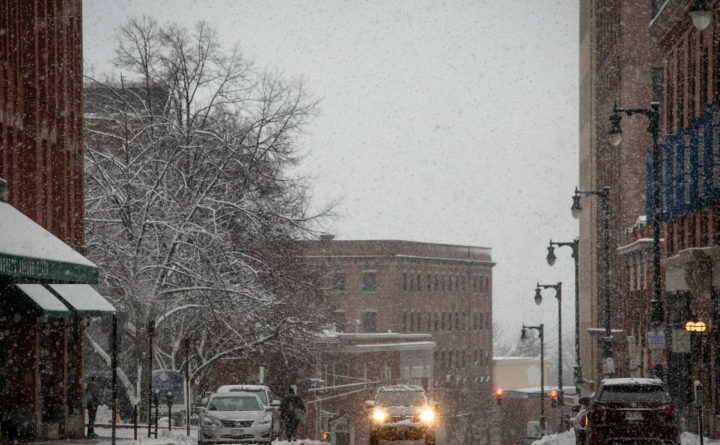 A Winter Weather Advisory is in effect until 11 a.m. Monday for southern and central Maine. While some mixing of rain or freezing rain is possible, most areas are looking at 2 to 5 inches of snow, with areas seeing any mixing being on the lower end of that range. Slightly higher amounts are possible for portions of the midcoast and points east who will hold onto the snow the longest. Most of the snow was expected to fall overnight and during the morning commute with skies becoming mostly cloudy and the chance for showers in the afternoon. Highs on Monday will be in the 30s. Gutsy northwesterly winds move in behind this system for Monday night into Tuesday along with colder air. Tuesday skies will become mostly sunny but it will be windy and cold with highs just in the 20s. Temperatures will drop into the low teens and single digits Tuesday night into Wednesday morning. Looking ahead, we’ll stay sunny and storm free through the middle of the week with our next round of rain moving in for Friday.